Executive Contacts and Compensation data feed from Greensight is broken into two data feeds, one for the United States and one for international executives. Both feeds include direct email and direct phone numbers for key leaders at major corporations as well as 4+ years of compensation data . This article explains what is included in these new feeds and the cost to subscribe, how to access the data in Excel, and how to use the Executive Contacts API. If you are unfamiliar with Intrinio's Excel add-in, this tutorial will walk you through the install. 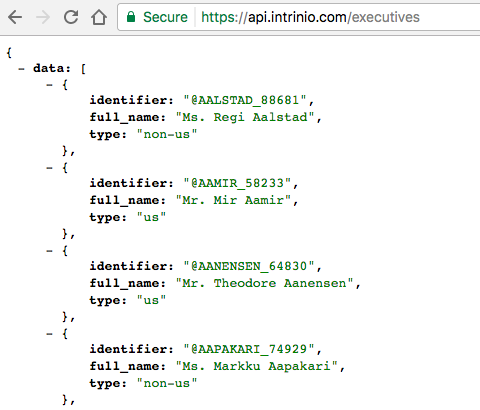 This tool will enable you to pull data into Excel and have that data update whenever the data in Intrinio's database updates. This makes it easy to build lists of contacts with emails and phone numbers as well as compensation data for analyses in Excel. 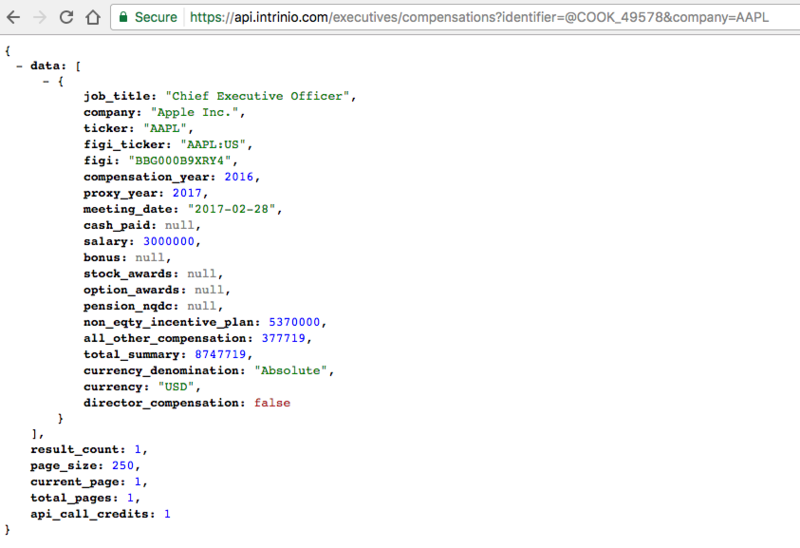 The full documentation for pulling executive compensation data into Excel is available here. You can look up the different tag options, items like Cash Paid and Option Awards, in the Data Tag Directory. If you want to make life really easy, use the API Explorer. This tool will build the Excel syntax for you so you can just copy and paste it into your spreadsheet. 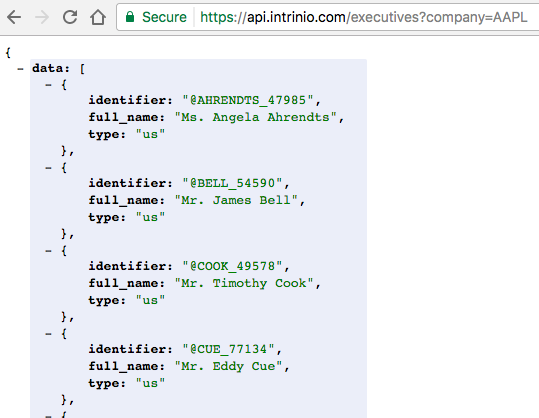 The documentation provides many more examples, but it's easy to see how an executive contacts API would make it easier to systematically track contacts and their compensation and even sort by company. The API explorer is a great tool that will make the syntax easier. Just scroll down through the data types and select the Executive Compensation data types you are interested in. You can copy the API syntax directly from the API Explorer to your browser and view JSON outputs.